Monday: If Cyprus begins to drill for gas as planned on Monday, Turkish PM Erdogan has threatened to take military action against Cyprus, Greece and Israel. AND/OR he will begin drilling illegally off the coast of Cyprus with military protection. 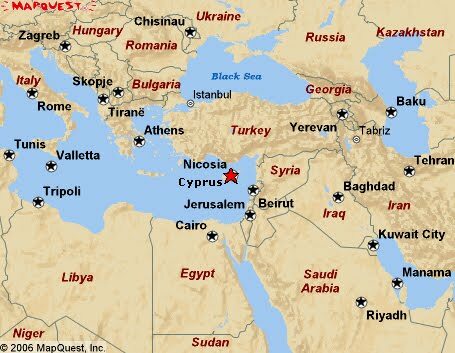 Turkish planes and frigates are already in place in proximity to Israeli ships and Turkish troops have been reinforced in Turkish (Northern) Cyprus. Israel and Greece have signed a mutual defense agreement and are obligated to protect the drilling operation which has been officially authorized by the US White House and State Department. 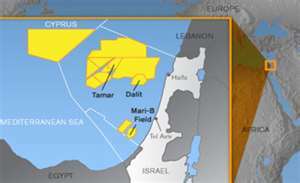 Both US and Israeli drilling companies are in place. 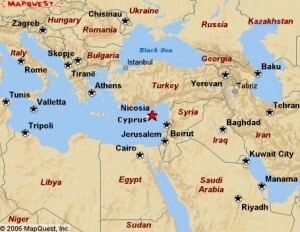 If Turkey attacks Israeli or Greek ships, there is no doubt that the US and NATO will have to take sides. Erdogan has essentially cut those ties; does he REALLY think the Turkish military can take on all three, or maybe, just maybe, he doesn’t think Obama has what it takes to take a stand? Erdogan shouldn’t err. Woe to an Arab leader who tries to foil Obama’s plans for re-election. Qaddafi might have some advice about the danger involved. And the current President is the only one who has openly ordered the assassination of 2 leaders off the battlefield. Erdogan might want to think twice about getting in Obama’s face. Threats of being cut off from NATO and to withhold intelligence support in Turkey’s war on the Kurdish insurgents as well as denial of US drones have had no calming effect on this rogue leader who seems determined to stand boldly at the precipice of war. He has now added a threat to withdraw Turkey’s application to join the EU if Cyprus is rotated into the EU leadership as planned in 2012. That long-awaited application was made for the good of Turkey! The EU will survive without them! At the same time, Iran is asking exactly why Erdogan has made an agreement with the US to install an anti-missile shield in Turkey…..against Iranian missiles! Today, there are reports that Turkish planes dropped food and supplies to Qaddafi’s forces fighting a crucial battle against the rebels! Why were there no NATO planes to stop them? His rant against Israel before and while visiting Cairo and his refusal to agree to the UN Palmer report on the Mavi Marmara affair have placed him well beyond what is considered acceptable behavior by the West. He seems to have left himself no way out except war….with someone. He is quickly losing face with his primary audience –the Muslim World. Given that the favorite Muslim target is Israel, it would seem likely that Israel will be the focus of his attack. It has been reported that he has already sent frigates to challenge Israeli ships in international waters off the coast of Gaza, to the point of ordering his ships to disarm Israeli ships…as incredible as that sounds. Is he ordering his naval troops to become martyrs in order to provide him with a casus belli? He thought he had a certified basis with the Mavi Mamara, joining the UN in its assignment of the Palmer investigation. However, since this opportunity slipped through his fingers, he is apparently looking for another. Let there be no doubt: Erdogan appears willing to spill a lot of blood to be seen as the Arab hero at the forefront of the setup of an Islamic Caliphate and to take control of the Mediterranean gas fields. In his vacillation between Arab rulers and the rioters, between Saudi Arabia and Iran, the Military rulers in Egypt and the Islamic Brotherhood, he has estranged himself and shown himself to be an unreliable partner to all. The world is watching the evolution of a madman. As he stands at the edge, having cut himself off from every face-saving exit, the only question becomes, will his military follow him over the cliff? At the same time, while Presidents and Prime Ministers, Ambassadors and Diplomats move from meeting to meeting in the carpeted halls of New York’s UN building, the real story may play out in Israeli streets. to vote against the PA, then the US will be able to step back from 1) a veto at the Security Council and, 2) the threat to cut all funds from the PA for it’s intransigence. Obama’s administration and the State Dept should not be surprised. Abbas, a long-time holocaust denier, is working for a one-state solution by any means available: Only Palestine. Any temporary solution of 2 states is intended to be a ‘judenrein’ (free of Jews) area and will be a base from which to destroy a smaller Israel. It’s already true that Jews are no longer allowed to go into the cities/areas controlled by the PA for fear of being murdered or kidnapped for ransom. However, Palestinian Arabs from these same areas are free to come to shop and work in the nearby “settlements” without any fear…so who are the racists? 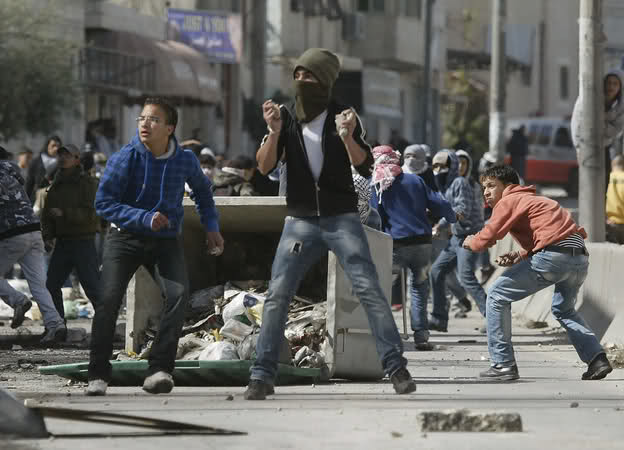 Meanwhile, this week Israel is on alert for the possibility that the PLO will be able to bring people to riot in the streets with either rhetoric, money or both. With or without them, the terror groups will undoubtedly take advantage of every opportunity to kill or kidnap Israeli civilians. Egypt’s war against Al Qaeda in the Sinai has fizzled leaving Israel to defend the border. The military leaders are barely able to keep order in Cairo. Christian Copts are again under attack by Muslims in the Aswan area. The Israeli Embassy remains closed for now and the Egyptian papers are reporting that a ‘millionaire’ paid the rioters to break into the Embassy. If this is being reported in the Egyptian press, it would appear to indicate that the military rulers are more than a little nervous about an Islamic takeover. Debkafiles has reported the involvement of Jama’a al-Islamiya, a forerunner of Al Qaeda involved in the 1993 WTC bombing. The original leaders of this group are now energizing the Muslim radicals to take over the Egyptian government. A little slow to realize, only after they broke into police arms stores did the military leaders finally crack down on the rioters and re-arrest many of the fanatics they had freed. The leaders remain free so far as is known. In Israel’s neighborhood, the sands continue to shift with the wind. In Arab history, it appears that these constantly shifting alliances have always been the way of normal political discourse. Assassination, money, position and long tribal memories as the definers of rulers and borders are hard for a modern Westerner to grasp. However, as it was, so it is….but the weapons are deadlier and the front is no longer limited to the sands of the Sahara, North Africa and the Middle East. Iran continues to support Shi’i riots which are again raging against Bahrain’s rulers…who are now actually regents of the Saudi King. Under the radar, Iran and Russia are advising and arming Assad on the brutal tactics that seem to be bringing down the number of insurgents in the streets each with a different goal in mind. Meanwhile, Turkey appears returned to the side of President Assad. Last week Jordan’s King Abdullah survived another threat when Facebook was used to issue a call for riots at the Israeli Embassy in Amman. That also fizzled, but he had his military at the ready, obviously unsure about how many would turn out for the party. He looks now to the Saudis to have his back, no longer sure of Obama’s support. He has reason to be concerned about the outcome of the pending UN decision its affect on his own large Palestinian population. Meanwhile, the Israeli news media continues to discuss a strike on the train service, the price of dairy products and the housing crisis as if everything else will somehow sort itself out without interfering with anyone’s daily routines. May it be so, but it doesn’t seem likely this time.